Somewhere on a remote island in the South Atlantic, Sea Monkeys have grown to full man-size and they like to attack in waves (we’re thinking of how they were portrayed in the old comic book ads, not the actual wisps of algae that they were). Alas, an Irish meteorological officer will barely survive this discovery. Reluctantly, he teams up with the world’s grumpiest lighthouse keeper to fend off the hordes of sea humanoids, while simultaneously doubting his own humanity in Xavier Gens’ Cold Skin (trailer here), which opens today in Los Angeles. The kindly captain dropping “Friend” (symbolic name alert) off on this forsaken rock is a bit alarmed by the trashed condition of his cabin. Then they get a loud of the drunk and disheveled lightkeeper, Gruner. His vague non-explanations for the absence of Friend’s predecessor should have been the last straw, but he stays on any way. He barely survives the Sea Monkeys’ welcoming reception, but the shack does not. 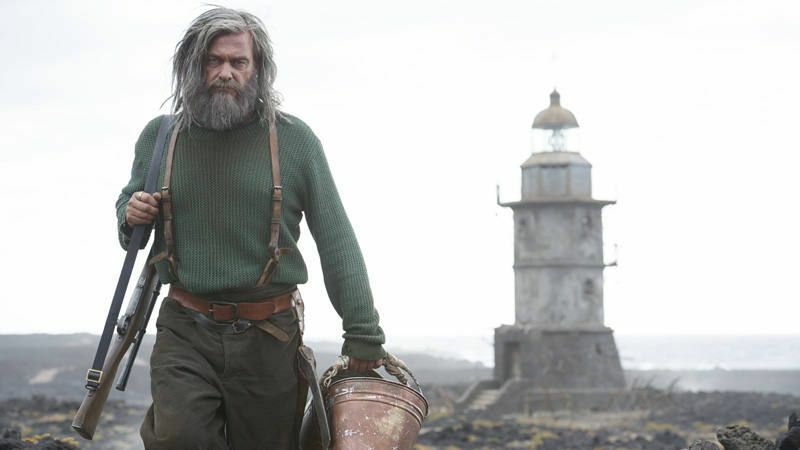 Reluctantly, Gruner takes him in at the lighthouse, only because he has generous supplies of ammo, booze, and tobacco. They do not get along very well, but almost every night they still fight off the creatures, shoulder to shoulder. Friend is particularly appalled to find Gruner keeping a female creature to satisfy his carnal cravings, but it is handy to have the advance warnings she provides ahead of each attack. Skin is a ridiculously heavy-handed film that wants to make us question what it means to be human. Not to belabor the obvious, but this bit of recycled commentary would be a tad more convincing if Friend and Gruner did not have to fight so desperately to survive. Still, the business with the creature Friend dubs Aneris is absolutely appalling, no question about that. Regardless, this all has a very been-there-done-that vibe to it. Maybe the timing is just unlucky for Skin, because it arrives after the first season of AMC’s The Terror and The Lighthouse, which is not even a horror film per se, but whatever it is, it is superior to Gens’ film. David Oakes is not bad as Friend, but it often looks like the ordinarily reliable Ray Stevenson is just shouting a lot to try to cover-up the wafer thinness of his character. However, the creatures themselves are unforgivably dull. Arguably, they have less personality than the rats in the Vincent Price radio drama, Three Skeleton Key. Altogether, that makes it dashed difficult to care about anything that happens in Cold Skin. The Lanzarote backdrops certainly look mysterious and desolate, but that is not enough to overcome the predictable clichés and the unnecessary antagonisms that develop between Friend and Gruner, which weigh down the film like sandbags. It is all just too much like too many other films. 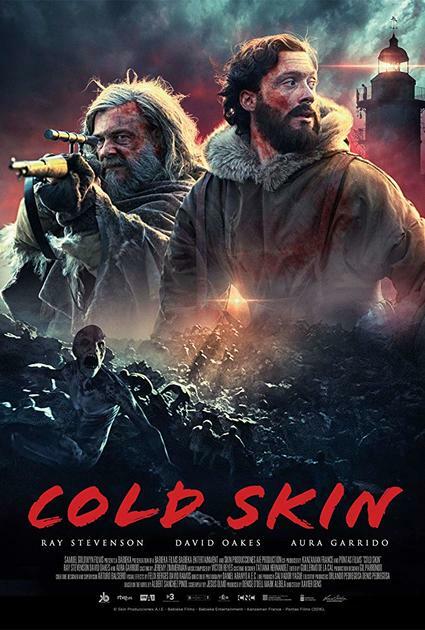 Not recommended, Cold Skin opens today (9/7) in Los Angeles, at the Arena Cinelounge.